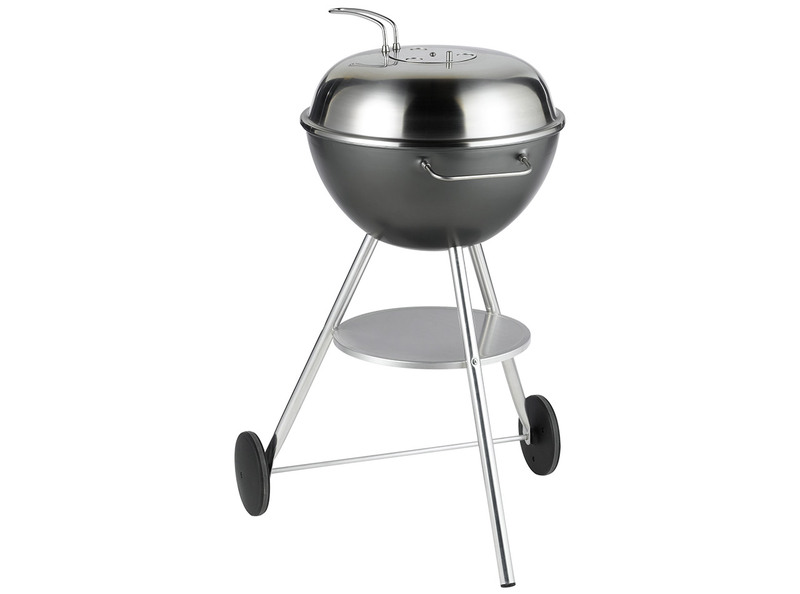 Dancook kettle barbecues are an ideal example of an elegant, classic Scandinavian Design. The simple lines of the dark spherical base, combined with the stainless steel lid and sturdy aluminium legs will look good in any setting. The patented liner technology, delivers higher coal efficiency and easy clean up. Sturdy charcoal and cooking grates are made from 6-mm chromium plated steel. Practical lid, with adjustable air flow is irreplaceable when grilling larger dishes.